Company Description: 27+ YEARS OF OUTSTANDING GLAZING AND GLASS REPAIR SERVICES IN DUBLIN. 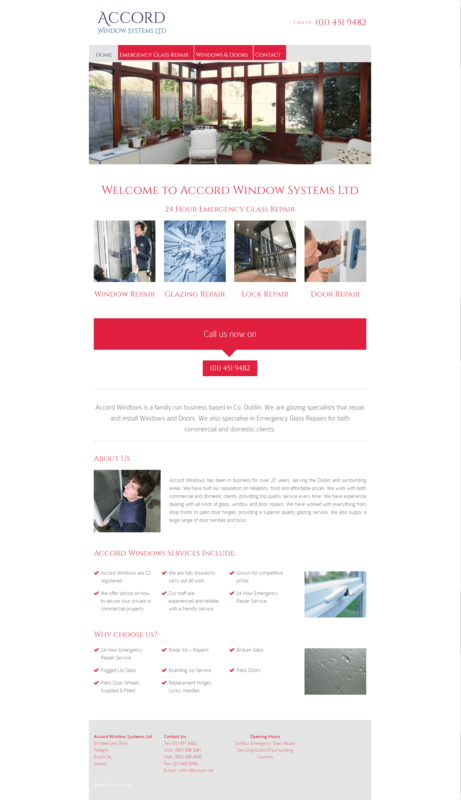 Accord Windows was born 27+ years ago from a desire to provide quality glazing and repair services firstly throughout Dublin and now surrounding counties. 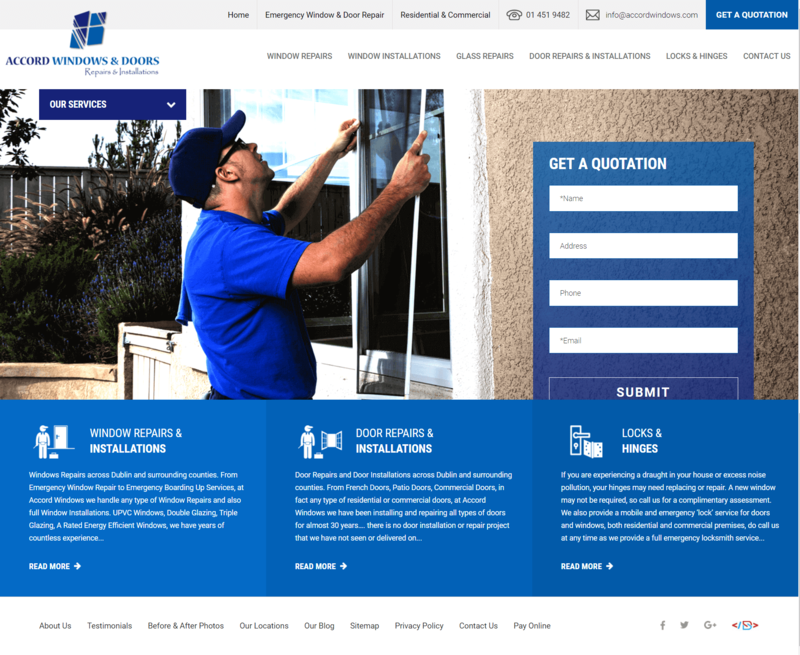 Over the years, we have efficiently delivered excellent services in the areas of window glazing, window repairs, windows installations, door repairs and door installations. We have, also, successfully met the needs of residential and commercial clients looking for great work and timely delivery. Objectives: New Website Build with SEO integration from the bottom up. Strong Call to Action throughout the site, superior download speed and making the website https secure.